Is your hygiene production lagging behind? Dental hygiene is the second largest production center in a practice, but most are not maximizing their potential. Most hygienists didn’t get into the field because they’re interested in sales. They are trained to focus on patient needs and are primarily concerned with things like bitewings and periodontics, often overlooking recommendations for restorative dental treatment and procedures that occur on the other side of the practice. Few practices will be able to sustain themselves purely off of new restorative procedures. Hygienists need to be able to recommend care and understand how to present their case. In dentistry, selling is about caring for the patient. “Sales” means giving the patient what they want or need, and perhaps helping them understand just why they might need treatment. There is no need for a hygienist to resort to high-pressure sales tactics. If the patient’s health is the primary concern, then genuine recommendations and advice will follow. Think of it as helping the patient make an informed decision. For those that may still struggle with the finer points of social interaction in this scenario, here are a few ideas that may help. Use pictures. Not only does an image speak volumes, but it also serves as a way to open up communication. Point to the problem area and open up with, “Is that bothering you, yet?” Encourage patients to take care of small issues before they become big problems. Foreshadow treatment plans. While the hygienists don’t diagnose problems, they can watch for obvious signs and mention them during care. When the dentist performs their own examination, the recommendation for treatment won’t come as a surprise. Educate patients. 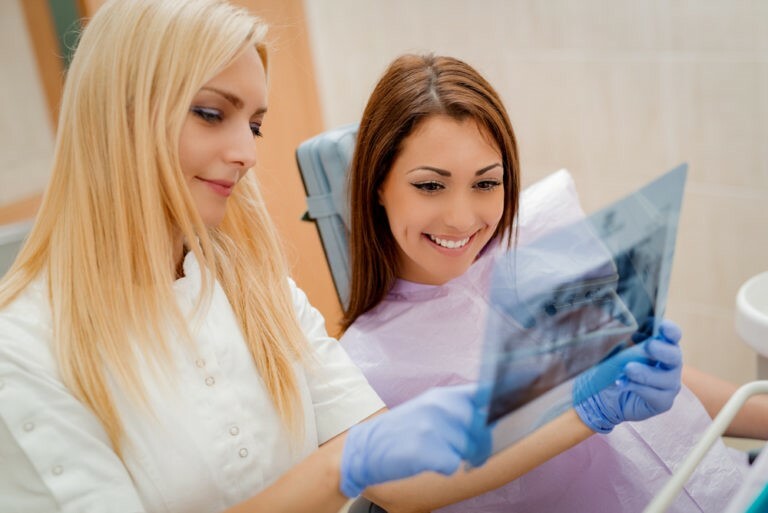 Hygienists often spend more time with patients than the dentist does. Use some of that time to discuss restorative treatments so the patient will understand why the dentist might recommend it. The hygienist is in a great position to increase case acceptance. Show empathy. Demonstrating your care and goodwill for the patient will go a long way in the acceptance of treatment. Make eye contact, pay attention to their concerns, and answer their questions. When the patient can tell you genuinely care about them, they will trust your recommendations. Dental hygiene is no longer just about cleaning teeth. It’s a modern standard of preventative care, allowing us to catch problems (such as periodontal disease) in the early stages. Hygienists can take on an expanded role within the dental practice, identifying treatment opportunities as they arise.